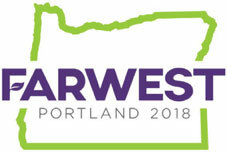 At the 2018 Farwest Show, Jack Jostes, an industry leader in digital marketing for landscape professionals, will deliver two presentations focused on driving foot traffic and improving online presence. In his first address, “Driving Foot Traffic for Green Industry Retailers with Digital Marketing,” Thursday, Aug 23, 8:30–9:30 a.m., Room B114, Jostes will look at what differentiates a garden center, florist, greenhouse or nursery from Amazon. The keys are staff expertise, face-to-face problem solving, quality of selection, freshness of plants and knowledge of local gardening challenges, among others. Attendees will learn how to drive more local traffic and grow revenue by helping customers locate local companies when searching online for help. A second seminar, “Get Found Online: Proven Tactics for Landscaping Company Digital Marketing and Recruiting,” will be Friday, August 24, 8:30–9:30 a.m. in Room B114. Jostes will teach easy, actionable digital marketing tactics for the landscaper that will improve search rankings, make a good impression, build trust, recruit top employees, get a company found online and build business. Jostes is president and CEO of Ramblin Jackson, a digital marketing agency based in Boulder, Colorado. He helps landscaping companies and home service businesses throughout the country increase their lead generation through local SEO. He is the author of “Get Found Online: The Local Business Owner’s Guide to Digital Marketing,” and is a popular presenter at national and local business conferences.